Great location, easy access. Jill made the contracting process very easy, explaining payment options. She took time to inquire about our needs and matched us with an appropriate size unit. The Facility is all climate control, driving my vehicle into the facility is great to keep out of the weather. Jullian New was AWESOME! Her superior customer service needs to be patented! The storage building is very very nice and affordable! I highly recommend if one ever need items to be stored, this is the place! New customer, Joy has been very pleasant to work with. Nice, clean facility. Great location. Best price for an air conditioned storage in Plano. Im super excited about using Mapleshade All Storage. The facility is brand new in a great location. Jill was very helpful and called me promptly after making a reservation. She also gave me a tour of the property which convinced me to go with All Storage vs the other storage place I was considering. My wife and I watched this property being built. It is a huge box with beautiful buildings that do not look like storage. We went in there just to see what the company was going to be and realized it is storage. The young lady with the tattoos, I do not remember her name so I apologize, was super excited and showed us a couple of sizes and they were not open for business yet. We will be leasing in June as their prices beat anyone around! I would love to post a picture but I do not know how. Thank you for adding such a beautiful facility to our neighborhood! Great experience! Called me to get details set up over the phone- walked in got lock and directions and move-in was quick, easy and painless! They have flat bed dollies for you to use, easy enclosed elevators, all super clean, easy and very nice! Hands down, this was overall the very best experience I've ever had dealing with a storage company. Our family has rented from several storage facilities in the past, and the customer service has always been great. However the customer service at All Storage was beyond exceptional! The process was quick, easy, and convenient. Truly the best customer service I've received in years. 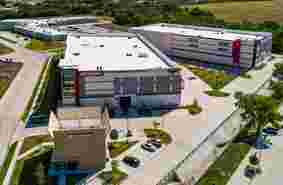 This is a brand new storage facility in the Plano area. 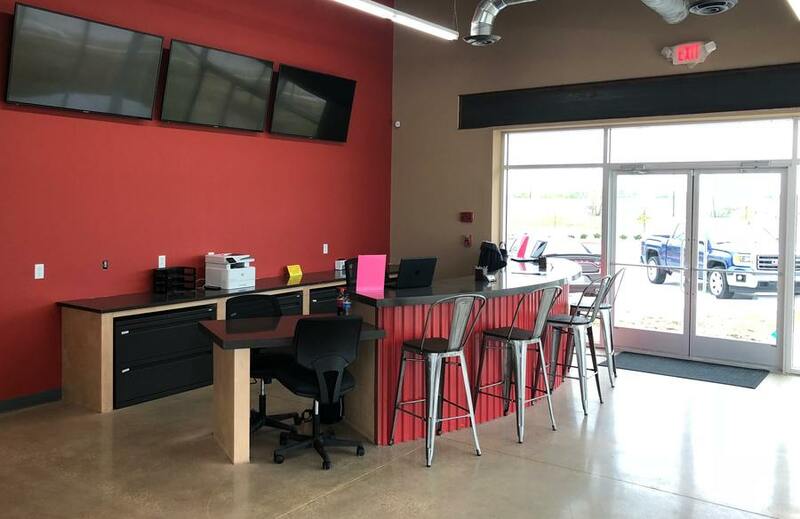 The staff is courteous and professional, the grounds are well kept and guys you can even drive your rental TRUCK INSIDE the facility...NOW THAT WAS SMART DESIGN!!! 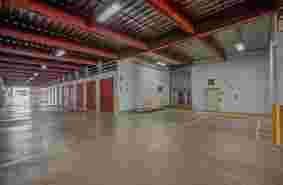 THERE is an ample amount of storage carts to help in moving your items, the ceilings are high and the elevators are large. Most importantly, you can reserve your storage unit online to avoid having to go into the office. This is a feature I LOVE! I reserved a 10x20 for $129/mth with the first month free. Store your valuables here...you won't be disappointed. Great job ALL Storage - Plano, TX!!! An AMAZING PLACE!! Super clean, super safe and Joy is an absolute delight to work with. I would highly recommend this place for any storage needs. So easy to get any size car or truck into the facility. I would never go anywhere else!!!!!!! I drove by this storage facility and decided to inquire as I have to store stuff for my job. I found a great rate online and found the process to get a unit pretty flawless. Manager and staff were super friendly and told me all about the property. The rate is good and the place is clean. Hopefully the rate wont increase often, and if not I will be here with my stuff for quite awhile! Great facility and very professional customer service. Ms. Jill and Ms. Joy. Thank you so much for your help. I really recomend this location so far good. I can't find a better storage place. Very loyalty customer. Gloria R.
Very secure facility with 24/7 monitoring. 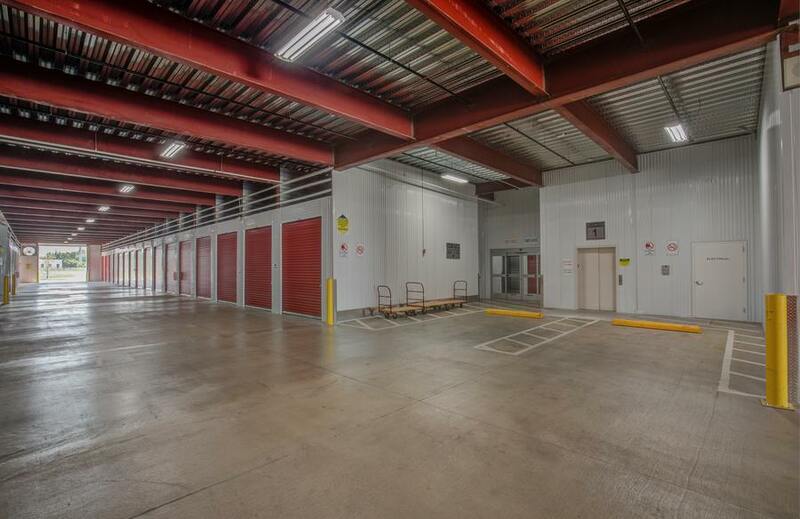 Great location and convenient access to storage units. Joy and Jill were very friendly, informative, and accomodating. Highly recommended. Jill and Gina were fast and helpful when I came in to rent. When I went by to get rates, Justin couldnt have been nicer. I plan to keep my unit here for years!! This is my first experience with renting a storage unit, and have been more than pleased with both the service and the facility. So far, I have worked with both Jill and Joy and found them both to be most helpful in every way. They helped me select a unit that was convenient and met all my needs. The facility is clean, well-lighted, and I really appreciate the indoor climate control. I would definitely recommend this facility. The ladies working here were very helpful! Tomberlyn was a new employee, but was still knowledgeable and able to answer all of my questions. The facility is nice and easy to use. Unloading and loading is indoors. All in all a great place to store your stuff! I had reserved my unit for 2 weeks out and ended up needing to switch it to the day of because of last minute changes. I called and spoke to Jill and she handled all of the paper work on the phone so all I needed to do is come in and pay before unloading into my storage. Jill was very helpful, friendly and speedy! What a great experience. The website was very easy to use, the check in only took a couple minutes and the facility was excellent. Joy helped us with check in and she was extremely friendly, courteous and professional. My first time using their facility and had the pleasure of Joy helping us. Very nice and professional. Effortless setup. Definitely recommend! Renting storage unit from All Storage couldnt have been any easier. Joy was incredibly helpful, showed me my options and found the best unit for my needs. The facility is clean, secure and nice. And the staff is excellent. I highly recommend All Storage. Very friendly staff. Joy was very helpful with checking in and very helpful again when we moved out. Facility is very clean. Elevators are huge and love that they have large carts available right by the elevators for everyone to use. Very satisfied. Excellent service and very clean facility. Joy is great! I would recommend this storage to someone looking for high quality! Jill there helped me out and got me exactly what I needed, facilities is clean and nice would recommend to anyone. 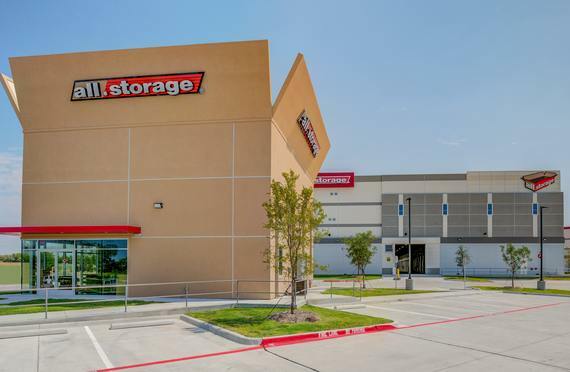 If you’re shopping for storage units in Plano, Texas, the newest All Storage facility is just off of the George Bush Turnpike. Exit on Coit Road heading north, then turn left on Mapleshade Lane. You’ll pass Sam’s Club and Walmart and then see the All Storage office on your right—it’s shaped like a box! 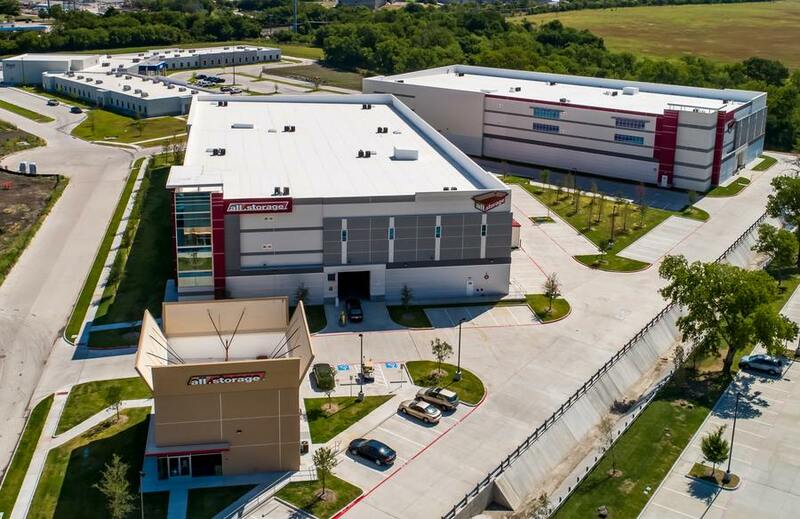 Our self-storage in Plano, Texas boasts state-of-the-art technology. Our EZ Drive-Thru building allows you to drive your vehicle inside and unload your valuables right next to your unit. It’s also climate controlled in there, so you can escape the hot, cold, wind, or rain while you work! Use our complimentary flatbed carts to help you move your heavier things. Enjoy our clean and well-lit drives and hallways, and talk to any of our friendly and courteous customer service staff. We’re all storage experts and enthusiasts, ready to help you find exactly what you need. 24-Hour Cameras: Our surveillance system covers every angle of the property for maximum security. Boxes & Supplies: Come by our office for low-cost boxes, tape, locks, and packaging. Box Office: You can’t miss our office! Bright LED Lights: Our hallways are lit by bright LED bulbs for safety, convenience, and energy savings. Carts & Dollies: Load and unload heavy items with our free flatbed cargo carts and dollies. Climate Control Units: To protect any items that are sensitive to temperature and humidity, these units use sophisticated HVAC systems. Commercial Storage: Store office equipment and inventory for your own business or your employer’s. You can even ship inventory straight to us! Drive-Up Climate Control Units: Drive your vehicle all the way to the roll-up door of your climate-protected space. EZ Drive-Thru: Drive inside our state-of-the-art building and down the well-lit hallway, and unload right next to your unit! Elevators: Use our freight elevators to take valuables to units that are above the ground floor. Fire Alarms: We use the latest and best fire alarms to protect your items like they’re our own. Fire Sprinklers: Our high-grade, commercial sprinkler system is designed to stop a fire from spreading. More Cubic Square Feet: The EZ Drive-Thru experience includes surprisingly high ceilings, giving your more cubic space to use. Music: Upbeat music always makes the time fly! Online Bill Pay: We’re bringing storage into the Information Age—put the checkbook away! 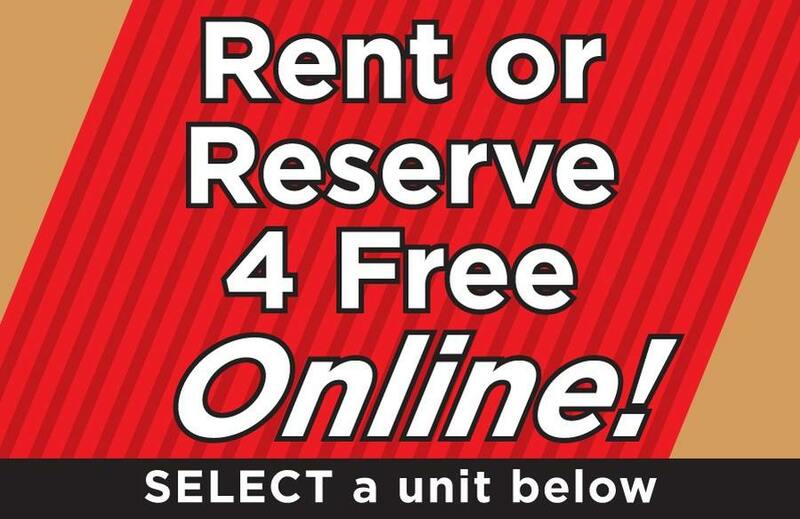 Online Rental: See which units are available right on your phone or computer. Get $5–$10 off when you reserve a unit online! Rental by Phone: Get your rental details hammered out over the phone with a knowledgeable, friendly team member. Tenant Insurance: We have A+ rated insurance that we can supply to protect your valuables—or you can use your own. If you’re looking for great self-storage units in Plano, Texas contact us today!